New research from IRU reveals the challenges facing European transport operators today and highlights the potential for digital solutions and services to unlock opportunity for the industry. The data shows that while traditional concerns about the cost of fuel (50%) and environmental and regulatory constraints (60%) remain at the fore, operators are increasingly conscious of the rise of new market entrants and the impact of automation. Two in five respondents (40%) cite autonomous vehicles, and one in four (26%) digital service platforms and new transport providers, as the most important changes impacting their businesses over the next 5-10 years. Only 20% see delivery drones as having a significant effect. According to IRU’s findings, the majority of operators surveyed (65%) are looking to invest in technology over the next six months to optimise their day to day operations. More than a third (38%) plan to invest in new fleet management solutions, and 25% in electronic or digitised documentation (e-CMR). Technology is seen as the key to fixing the fundamentals. Paper management (50%) is the top challenge respondents believe will be overcome by digital, followed by transport security (41%) and finding loads (30%). For more than a quarter of respondents (28%), digital is seen as a solution for helping overcome the ongoing driver shortage in the industry. 26% of operators surveyed believe that autonomous vehicles will play a part in solving the shortage. However, the data reveals that there is not yet a consensus on automation. One in three respondents (32%) do not believe driverless trucks will future proof the industry by alleviating the driver shortage, and 42% remain unsure of their impact. While IRU’s findings paint a positive picture overall, for a minority of operators surveyed (28%) business transformation is not currently seen as a reality. 35% of respondents say they have no plans to invest in digital solutions in the next six months. This suggests that there are pockets of the industry yet to embrace new technologies, who risk being left behind. 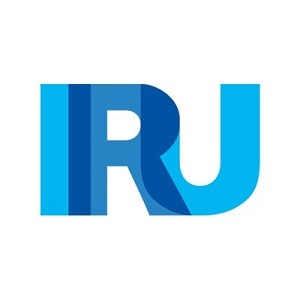 “IRU helps the industry seize opportunities that new technology and innovation offer, connecting large and small operators with digital service providers and manufacturers. Our role to support road transport in becoming more sustainable has never been more important and we are actively working with our members and partners to map the digital future of the industry. This event brings together some of the leading innovators in road transport, including Daimler, DKV Euro Service, TomTom and Wtransnet, to share insights and experiences with the businesses running road transport services on the ground”.